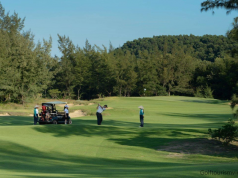 The central coast is becoming as one of the hottest tourist spots in Southeast Asia, with a variety of attractions, including golf. Da nang is the biggest city in the Central of Vietnam and is recognised as one of the world’s 20 low-carbon cities and the most livable city in Vietnam, Da Nang is a destination that you simply cannot afford to miss. With its coastline extends for approximately 50 km, fine white-sand beaches that gently slope toward the crystal-clear water, Da Nang has been voted one of the six most attractive beaches on the planet by American Business Magazine Forbes. Swimming in the clear blue water, relaxing with the white waves and sunbathing on these white sand beaches are favourable activities of those who want to relax after some hard-working time period. Dovetailed with romantic Han River, featured with the seductive My Khe Beach, and backed by Ba Na Mountain, Da Nang is blessed to be the tourist capital of South Central Vietnam. 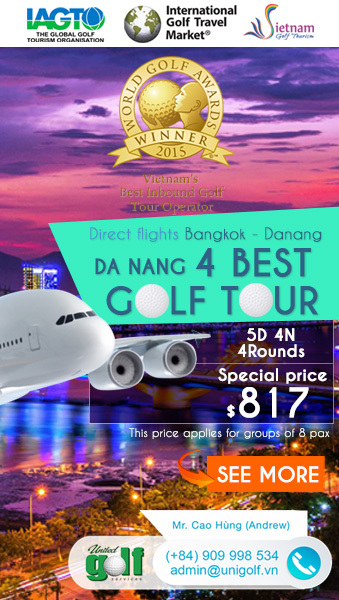 Traveling in this 3 days 2 nights Da Nang golf package is the great choice for you to enjoy exciting, challenging rounds in the best golf courses with well design in the Central Vietnam: Laguna Lang Co Golf Club, Montgomerie Links Danang and Danang Golf Club. 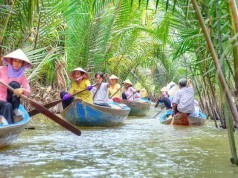 In addition you will also have chance to explore many beautiful tourist destinations, especially three UNESCO World Heritage Sites – the charming ancient town of Hoi An, imperial city of Hue and My Son’s Cham Kingdom Sanctuaries. Designed by Australian golf legend and former world No. 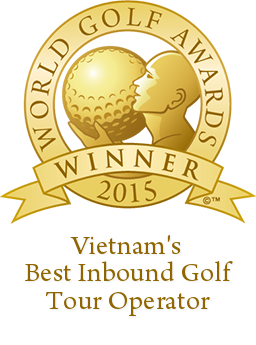 1 Greg Norman, it lies in close proximity to two of Vietnam’s most historic destinations — UNESCO World Heritage sites Hoi An and Hue — and offers breathtaking views of the Marble Mountains, East Sea and Cham Islands. The course measures 7,160 yards, 18 holes with blown-out bunkers, firm and fast fairways that bleed gently into wild seaside vegetation, rugged waste areas, swales and hollows. The course offers an enjoyable experience for golfers of every level. Montgomerie Links is located midway between Hoi An and Danang, it is just 15 minutes drive from Danang International Airport. The 18-hole international standard golf course is designed by European golf legend – Colin Montgomerie who was Winning Ryder Cup Captain and Eight-Time European Order Of Merit Winner. Acclaimed by local and visiting golfers alike, it is challenging enough to test the most experienced players, while being eminently playable and enjoyable for mid and higher handicappers. Lang Co Golf Resort located within the greater Laguna Lang Co integrated resort. The 18-hole, par-71 championship course designed by Sir Nick Faldo. The course presents variety for players of all levels measuring just over 7,000 yards from the championship tees and a beginner friendly 5,263 yards from the front tees. With the beauty of the course, the design…everyone will have fun because it can be enjoyed here on many levels. After Golfing, it’s time to relax at 3-star Fansipan Hotel where is located right in the heart of Da Nang, about 10 mins walk to the beach. Day 1: Pick up at Da Nang Airport, transfer to Da Nang Golf Club, play 1 round 18 holes. 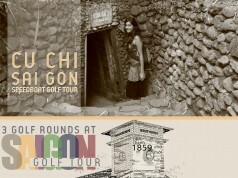 Day 2: After breakfast, transfer to Laguna Lang Co Golf Club, play 1 round 18 holes. In the afternoon, transfer back to hotel in Da Nang. Day 3: After breakfast, transfer to Montgomerie Links, play 1 round 18 holes. Transfer to Da Nang airport for departure. Question? Can we finish by 6pm? Enough day light? Any night lights?